When thinking of what food I should choose, the choice made itself quite obvious. This was the first Korean food I tried, and the first Korean food word I remembered (with much coaching from my co-teachers). For the first many months, I wasn’t able to find a restaurant for it – until I discovered that they’re all clustered on a single street. The street is actually named after the food and apparently it was meant to be a quirky tourist enticement/trap that ultimately failed. So now there’s just a street with dozens of the same kind of restaurant one after the other. How I’m sure the Korean developers of the restaurant-street-concept imagined the tourists would react. Anyhow, I give quite a bit of explanation in my audio, so I’ll jump straight into it. Definition: Literally meaning “three layered flesh” (sam = three / gyeop = layered / sal = flesh), this is what the rest of the world refers to as “Korean BBQ”. However unlike the rest of the world (or at least the way Montreal serves it, since that’s the only other place I’ve technically had Korean food), samgyeopsal isn’t an array of different meats (ex, beef, pork, seafood). Traditionally, it’s grilled cuts of uncured and unseasoned pork belly, which is where it gets its name from – the three-stripe layer effect that kind of looks like bacon. It has moved away from pork in recent years, however, to include succulent cuts of beef that melt in your mouth (for much much higher prices), but pork is still predominant. Pork belly, pork neck, and even pork skin, which is said to be good for soft people skin. Fancy samgyeopsal barbecue in the middle of the table. I think this might have been beef actually, from when Andrea and I splurged on our first paycheck fancy dinner. As I mention in the audio bit, you eat the meat in small pieces, cut up as seen above. Once you’ve done that, you dip it in salt and/or salted oil, then wrap it in lettuce and/or sesame leaves, add some grilled garlic, grassy-vinnegrette-thing, and maybe a bit of hot pepper paste. 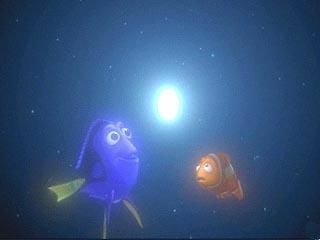 Then you pop it in your mouth like a little lettuce dumpling. 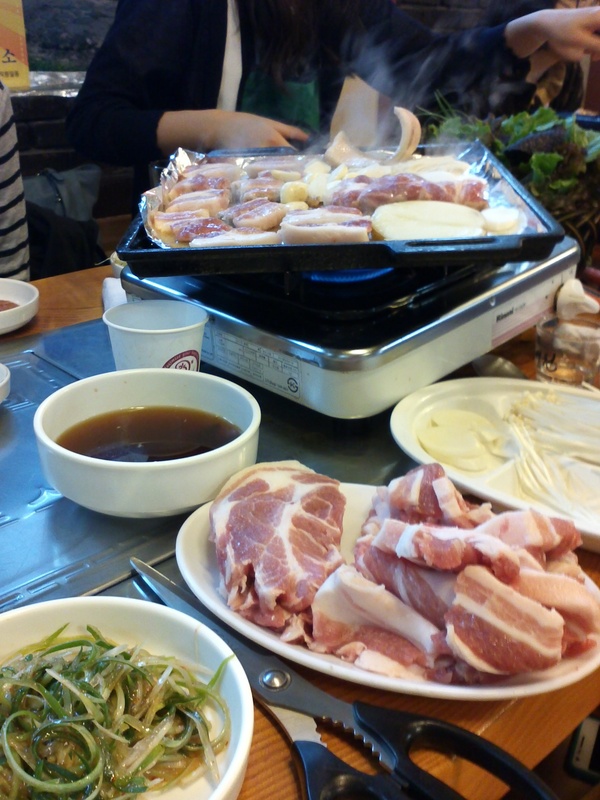 Here’s a recent – and apparently famous – samgyeopsal place I went to for a staff dinner. The restaurant is actually built into the side of the butcher’s so the meat is super fresh. Indeed it was rather high on the delicious scale. 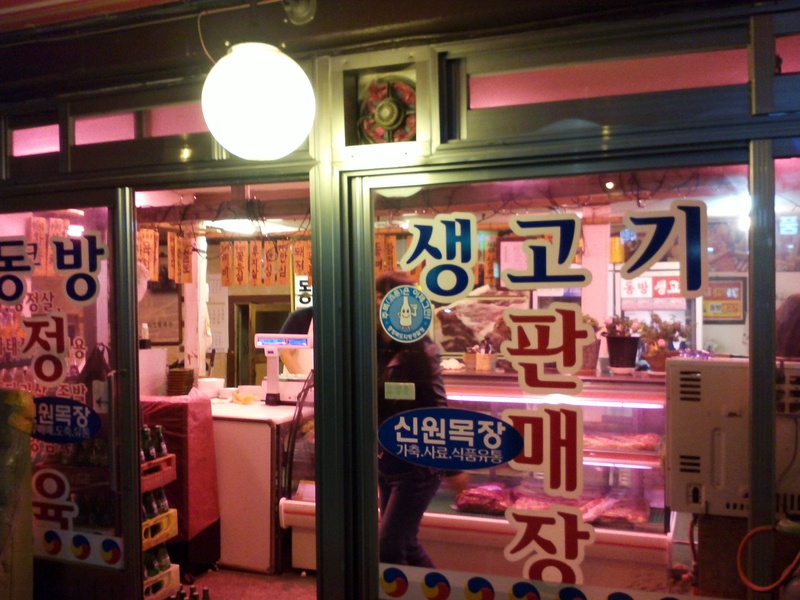 The outside of the butcher’s/samgyeopsal restaurant. 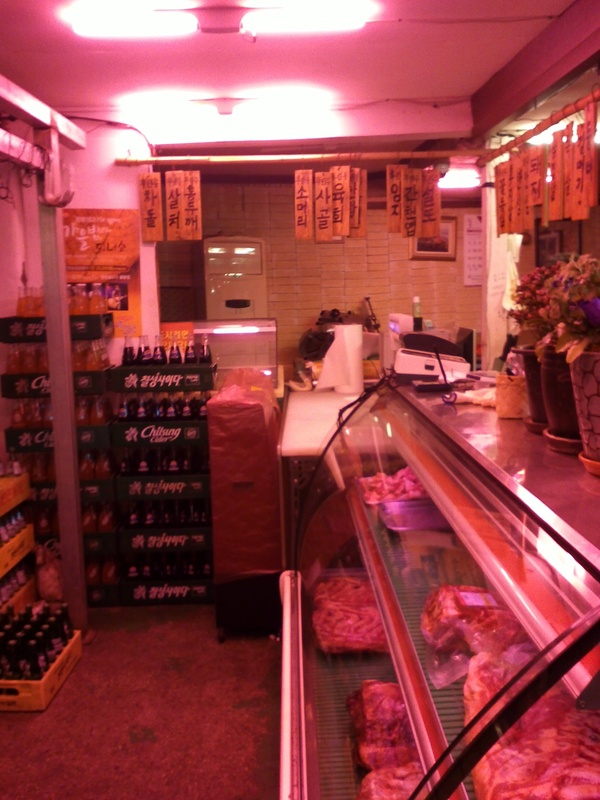 The inside of the butcher’s. Cooking the samgyeopsal. 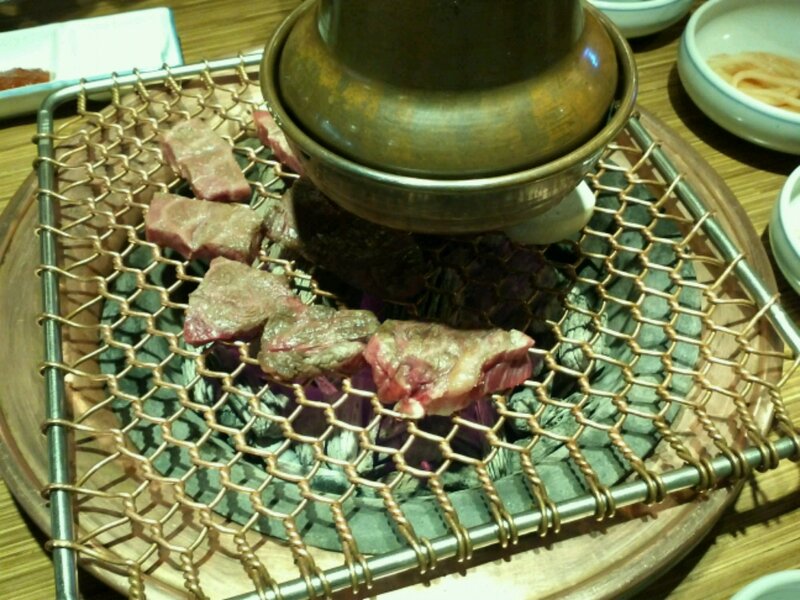 This is another style of barbecue wherein instead of a built-in BBQ, you’re served with a portable hot plate. You still do all grilling yourself (yay!) The pig skin is the one that’s curling while it grills, and that grassy-vinnegrette-thing is in the bottom left corner. And here’s the audio on how to pronounce it along with some other fun cultural details and whatnot. And here’s the direct link to the Soundcloud upload if you have difficulties with the embedded player. Kaka jusaeyo 🙂 I had a great teacher ! Kamasahamnida seonsaeng Marta 🙂 because you are a great teacher! Good thing I already have eaten because this blog made my mouth water. The pork rinds/skins are just like those at a sugar shack without the salt curing. It’s called oreilles de cris. But cooked completely to crispness. Yeah it’s pretty damn tasty.. Remember that pork is one meat that MUST be cooked thoroughly…VERY seriously. Do not eat this rare or medium rare.